On May 8, 2013, Dr. John P. Holdren will be the keynote speaker in the President’s Distinguished Lecture Series, hosted by Stevens Institute of Technology President Nariman Farvardin. Holdren is Assistant to the President for Science and Technology, Director of the White House Office of Science and Technology Policy (OSTP) and Co-chair of the President’s Council of Advisors on Science and Technology (PCAST). The President’s Distinguished Lecture Series, which launched in fall 2012, offers access to influential scientists, technologists and policymakers who are shaping 21st century society. Lectures focus on important topics in science and technology, the linkages between societal issues and advances in science and technology and related policy issues. Holdren’s lecture, “Science and Technology Policy in the Obama Administration: A Progress Report,” will detail how the Obama administration’s pledge to “put science in its rightful place” has impacted federal support for issues like research and development, jobs, the economy, healthcare, energy, climate change, space exploration and science and math education. 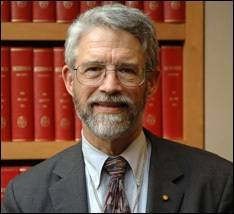 Prior to joining the Obama administration, Holdren was the Teresa and John Heinz Professor of Environmental Policy and Director of the Program on Science, Technology, and Public Policy at Harvard University's Kennedy School of Government, as well as professor in Harvard's Department of Earth and Planetary Sciences and director of the nonprofit Woods Hole Research Center. Previously he was on the faculty of the University of California, Berkeley, where he co-led the interdisciplinary graduate-degree program in energy and resources, which he cofounded. During the Clinton administration Holdren served as a member of PCAST through both terms and in that capacity chaired studies requested by President Clinton on preventing theft of nuclear materials, disposition of surplus weapon plutonium, the prospects of fusion energy, U.S. energy R&D strategy and international cooperation on energy-technology innovation. Holdren holds advanced degrees in aerospace engineering and theoretical plasma physics from Massachusetts Institute of Technology and Stanford University. He is a member of the National Academy of Sciences, the National Academy of Engineering and the American Academy of Arts and Sciences, as well as a foreign member of the Royal Society of London and former president of the American Association for the Advancement of Science. His awards include a MacArthur Foundation Prize Fellowship, the John Heinz Prize in Public Policy, the Tyler Prize for Environmental Achievement and the Volvo Environment Prize. The President’s Distinguished Lecture Series is free of charge and open to all Stevens students, faculty, alumni, staff and invited guests who RSVP prior to the event. Holdren’s lecture will take place in Stevens’ DeBaun Auditorium at 4 p.m. on Wednesday, May 8, 2013. Following Holdren’s speech, attendees are invited to attend a reception in Stevens’ Lawrence T. Babbio Center for Technology Management.